Winnie the Pooh and Friends are ready for a terrific time. 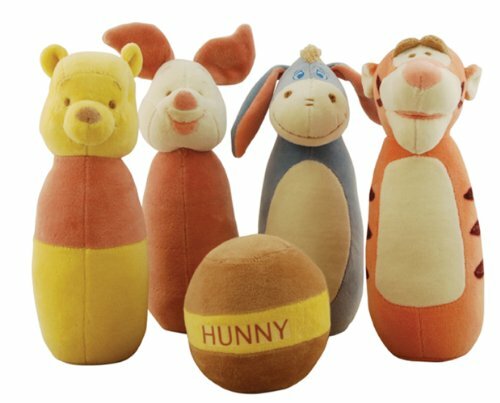 This bowling set includes 4 plush pins featuring Winnie the Pooh characters and a soft cotton ball. Pins measure 3 x 9 inches. Ball is 5 inches.